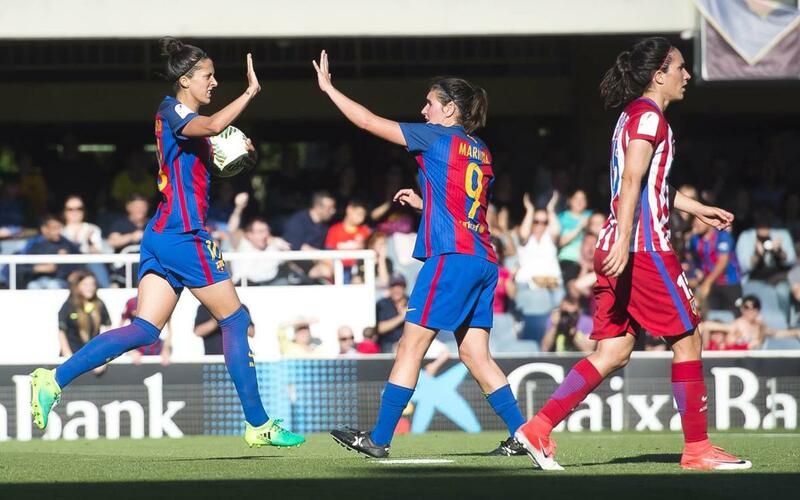 FC Barcelona Women were unable to get the crucial three points they so desperately needed against league leaders Atlético Madrid (1-1, leaving their hopes of claiming the title very slim going into the final day. Sonia gave the visitors the lead from the penalty spot on 59 minutes, before Jenni Hermoso brought the score level. The hosts put everything into getting that all-important win, but it was not to be. The result also means that the team from Madrid have the better head-to-head record, and therefore only a slip-up from them on the final day will give Barça a chance of winning the league.